Get the best of both worlds at this 4BR/3BA Davenport villa – it combines awesome hotel amenities with the privacy and comfort of a private home. 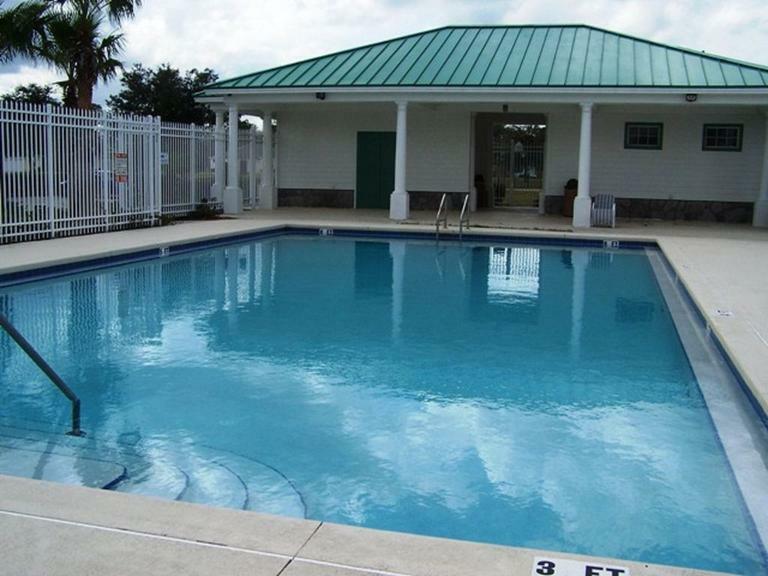 From the tasteful decor to the heated pool, this is the perfect home base for your Florida getaway. 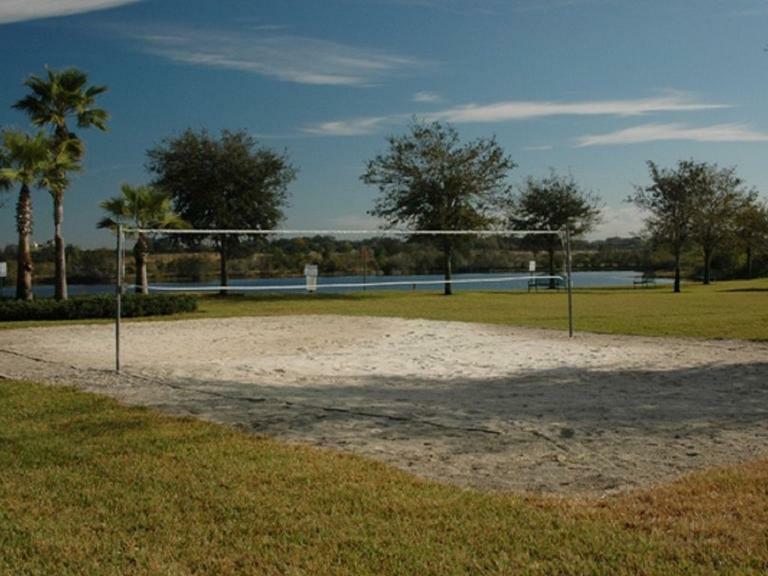 All this and you’re just down the road from all the magic of Orlando. Disney World is 15 minutes away and Universal and SeaWorld are only 20 minutes away. 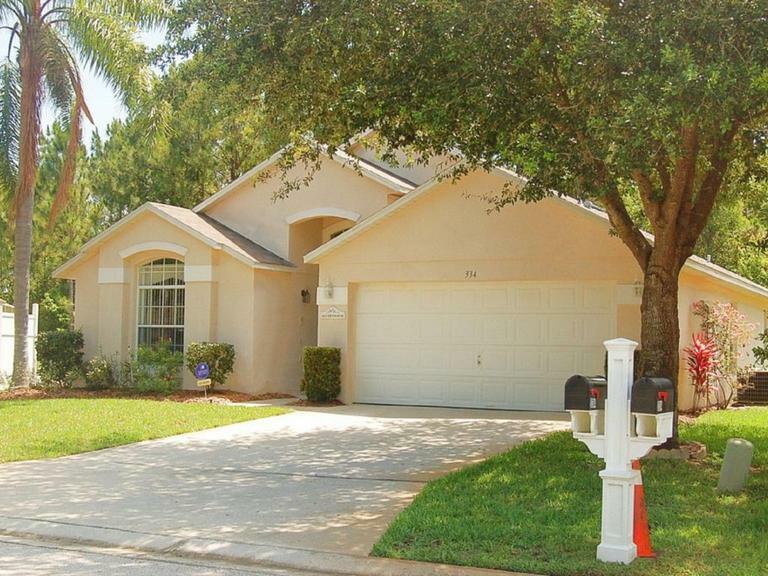 Like your own private resort, the backyard backs up to a scenic nature preserve for extra peace and privacy. 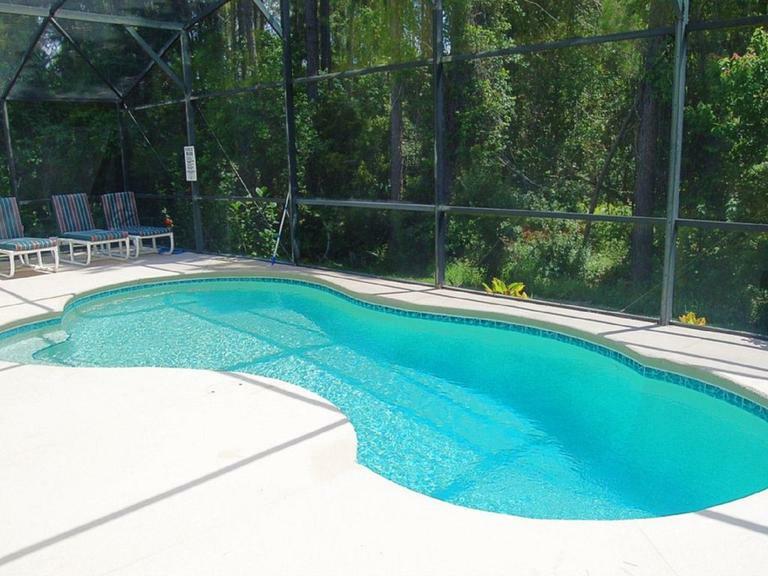 Float around in the heated pool in the screened lanai and get some vitamin D laying out on the pool deck loungers. 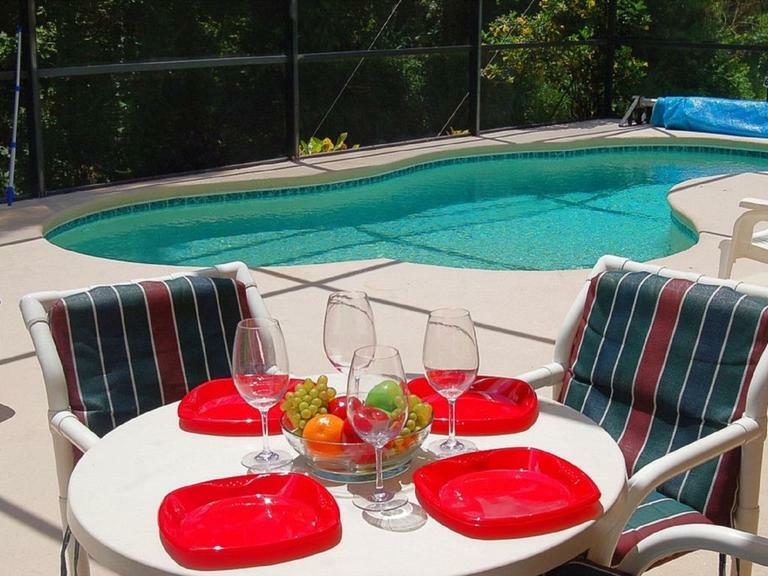 The lanai also has a 4-person patio table for dining al fresco. 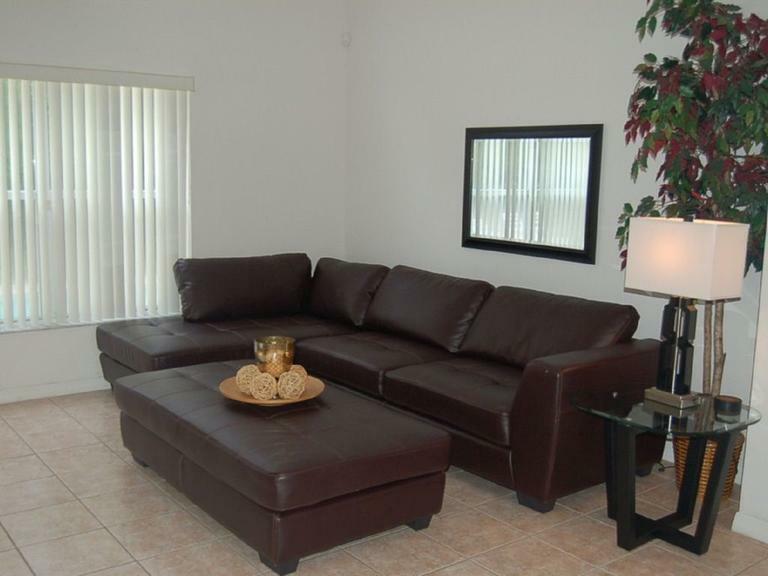 Curl up on the leather sectional in the living room to watch your favorite Disney movies on the large flat screen TV. 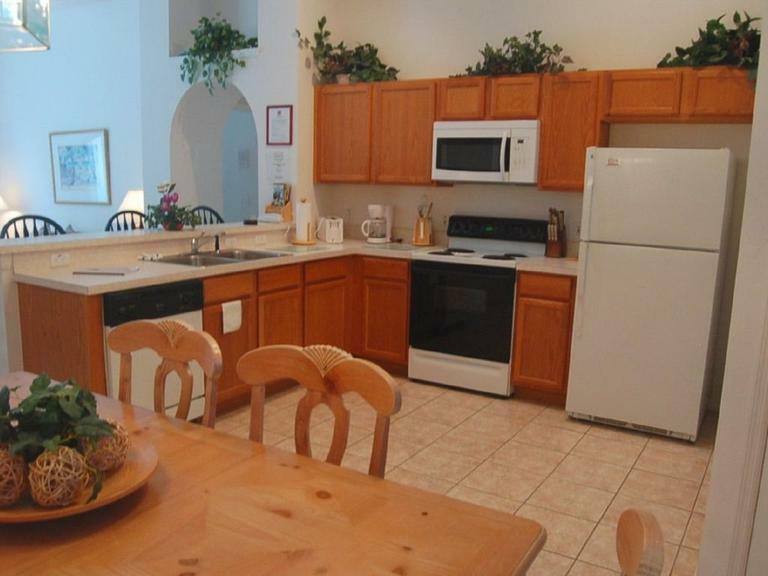 After a day at the parks, come back for a home-cooked meal in the fully-equipped kitchen. It has everything you need for meals and snacks, including full-size appliances and extras like a toaster and coffeemaker. Serve up breakfast at the kitchen’s bar with three barstools; an eat-in kitchen table has room for six more. 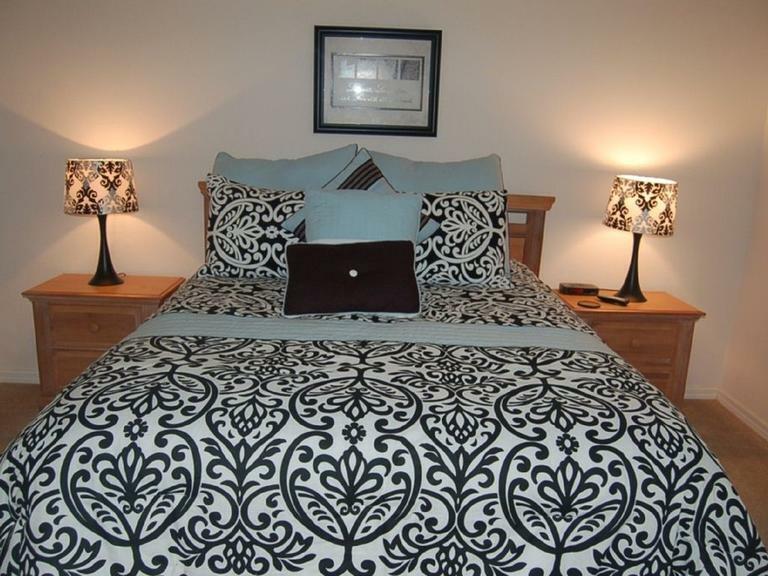 The home sleeps eight and has two master suites, making it a great fit for a group of friends or multiple families traveling together. 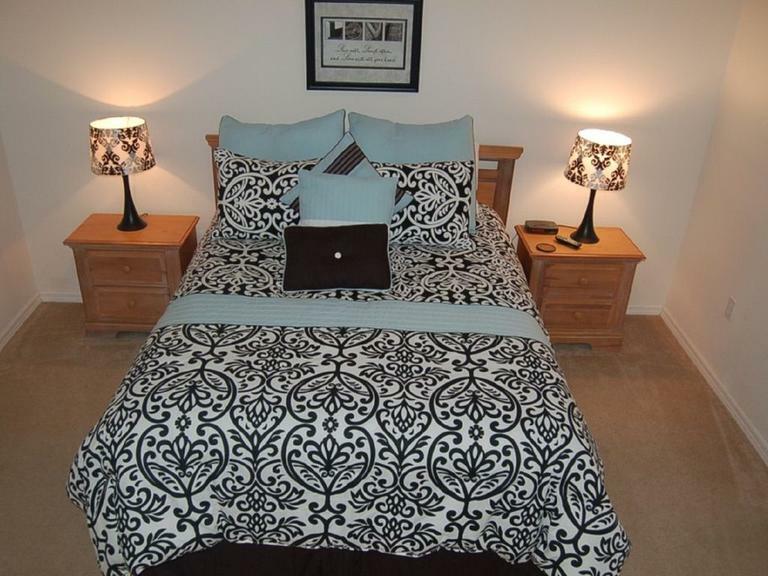 Gorgeous bedding outfits the queen bed in the first master bedroom, which has an en suite bathroom. 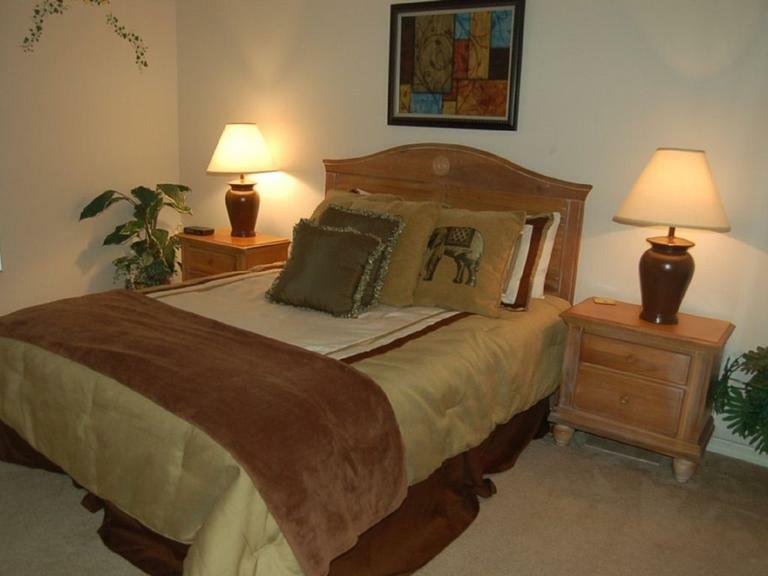 Another master has a queen bed, lovely neutral decor, crib for the youngest guests, and en suite bathroom. 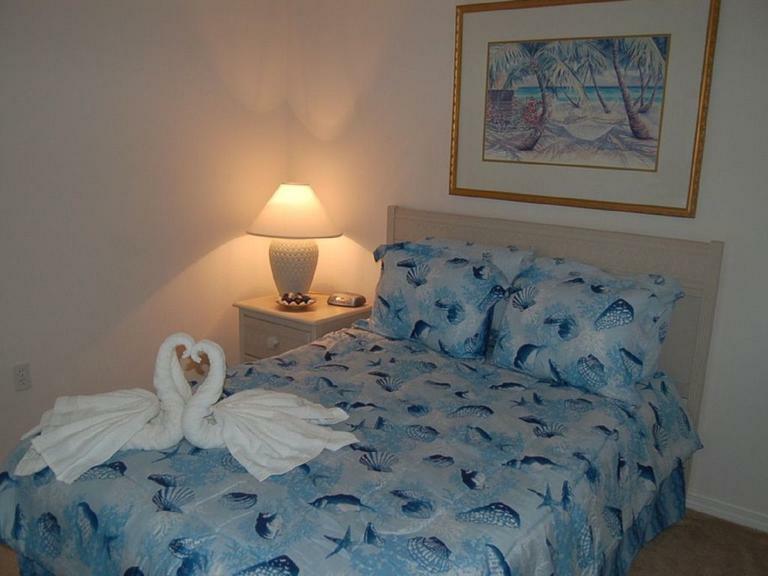 The 3rd bedroom offers a full bed with bright blue bedding. 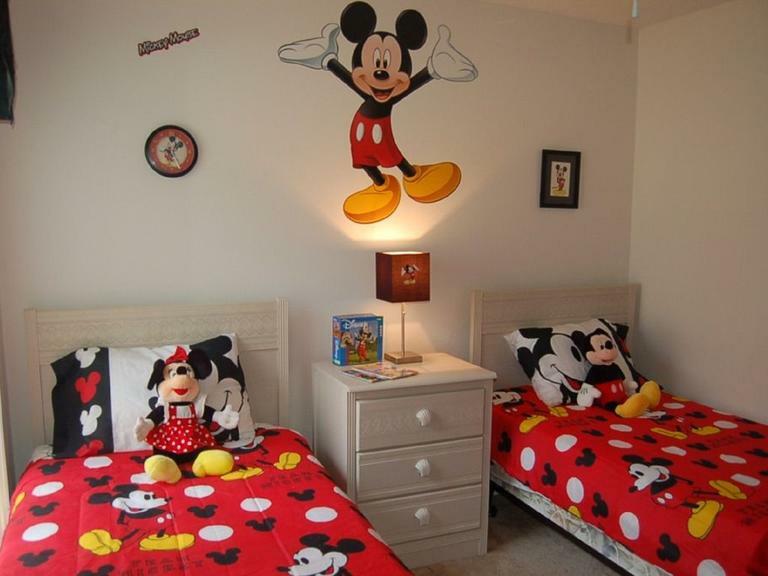 Kids will feel like they never left Disney in the 4th bedroom, which has two twin beds and fun Mickey Mouse decor. There’s plenty of getting-ready space in the other full bath that comes with a tub/shower combination. 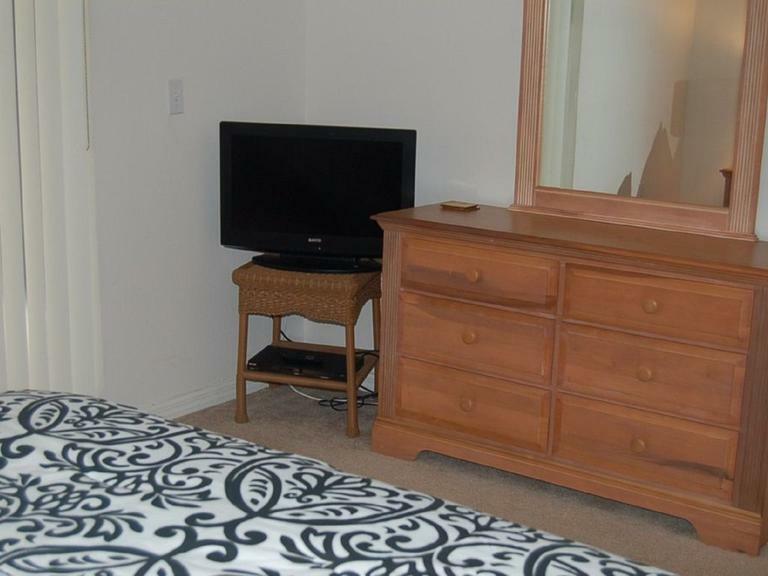 Other amenities that will spoil you include air-conditioning, free WiFi, and free local and national calls. 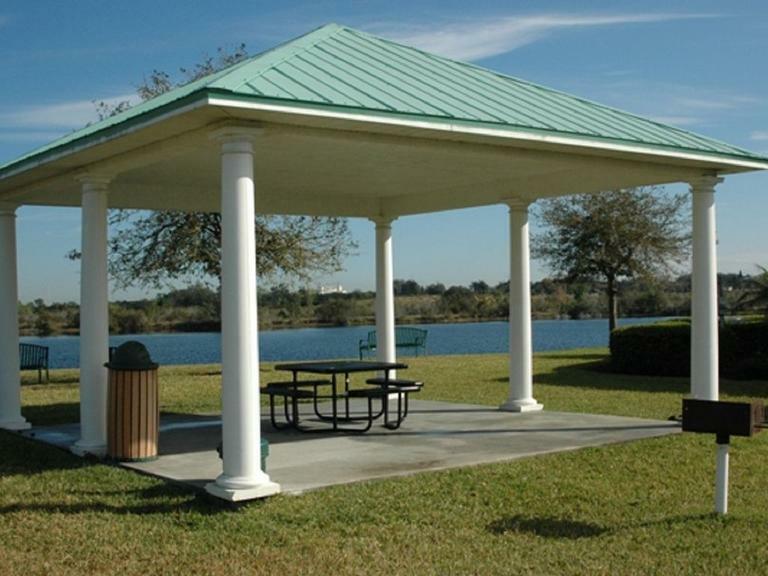 Part of the tranquil Bridgewater Crossing neighborhood in Davenport, you’ll have access to family-friendly amenities like a pool, playground, picnic areas, and tennis, basketball, and sand volleyball courts. 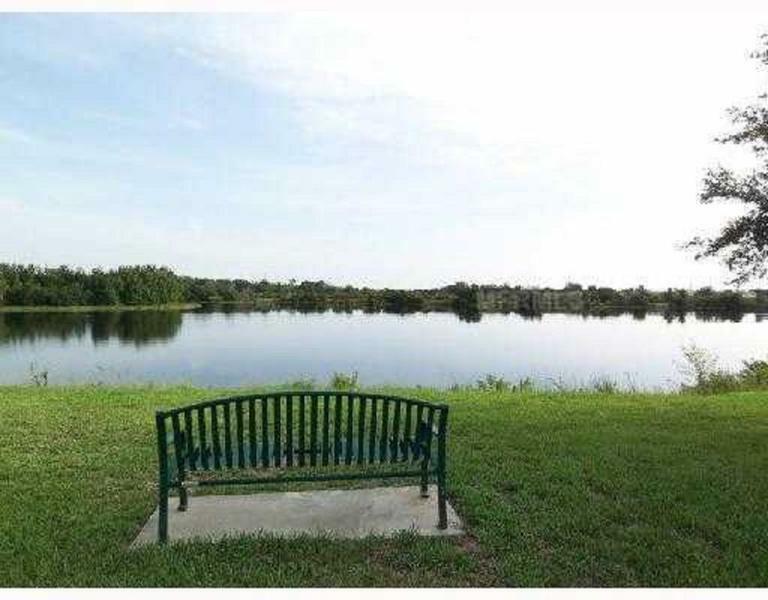 Spend a quiet afternoon fishing in the stocked lakes and take evening walks through the neighborhood lined with sidewalks. 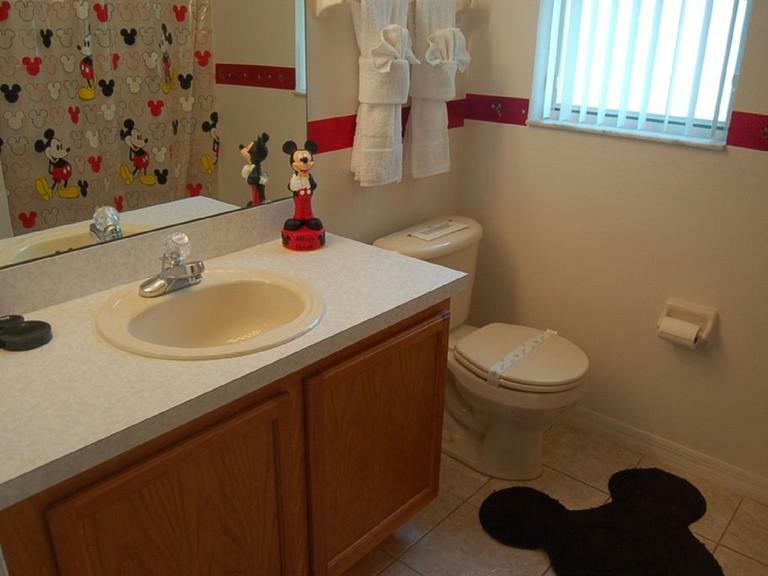 The home puts you a short drive away from all the Disney magic. 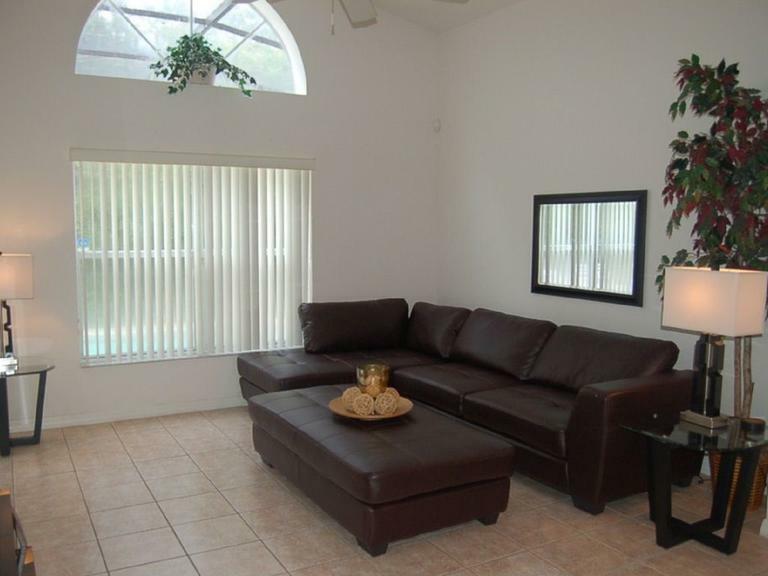 Magic Kingdom, Epcot Center, Hollywood Studios, and Animal Kingdom are less than 15 minutes away. Experience the exciting movie-themed rides and attractions at Universal Studios and get acquainted with exotic marine life at SeaWorld, both just 20 minutes away. When you need to stock up on supplies and groceries, Publix Supermarket is just 3 minutes away. You’re also just minutes from restaurants when the cook takes the night off. 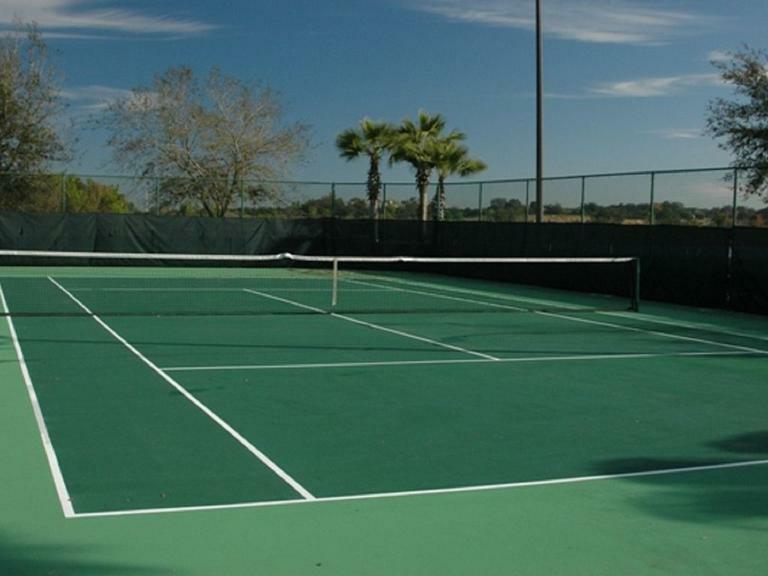 Champions Gate is just 6 minutes away and offers local joints and well-known chains. 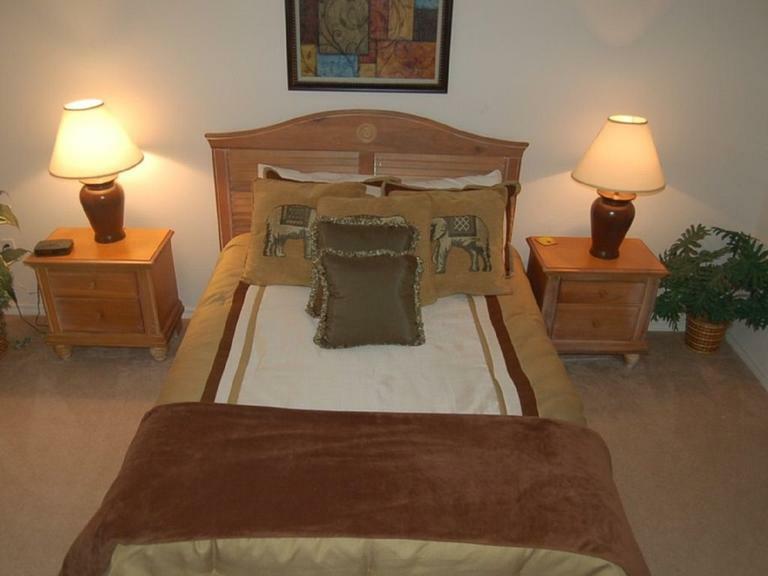 This property has 2 Twin(s), 1 Airbed - Queen(s), 1 Airbed - Queen(s), 1 Airbed - Queen(s).